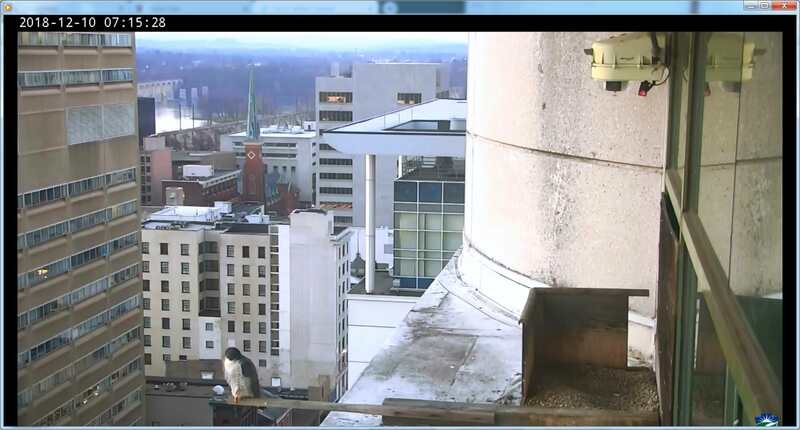 12/6/2018 :: Two males visiting the ledge! 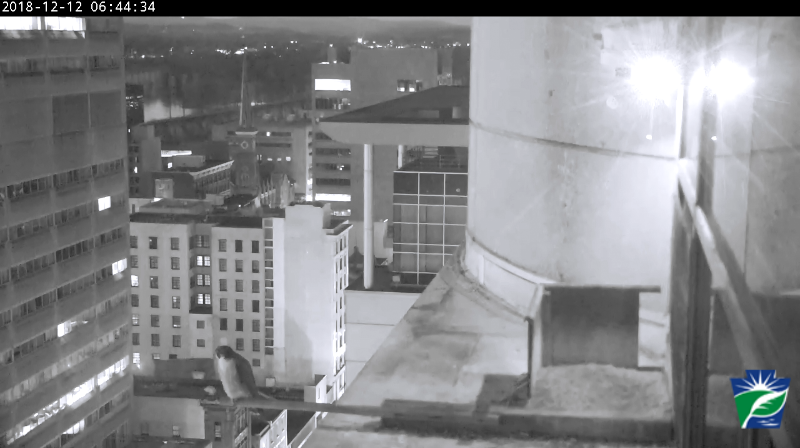 Since an unbanded male visited the 15th floor ledge yesterday, this bird and another male were around the ledge early this morning. A quick glance of the one falcon's band indicates it may be 38/S, the same male that visited the area last year. DEP anticipates continued activity including interactions between these two males and the resident female banded 48/AE. The situation could get more exciting when the mating male, W/V, returns. Anticipate more flight displays and possible challenges to W/V's position as the breeding male. 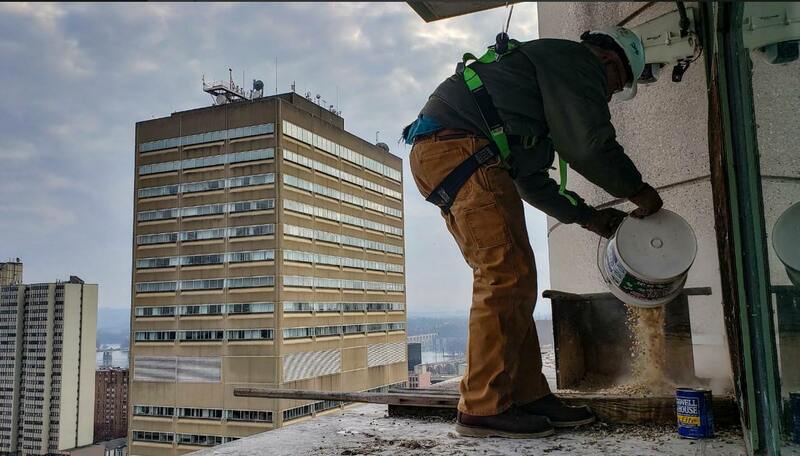 This maintenance was to replace the gravel in the nest platform to ensure when the young arrive in April they will have a clean nest. In addition, the lenses protecting the cameras were cleaned to enhance the view on FalconCam!